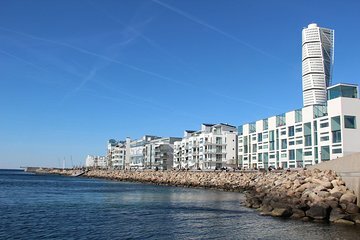 Discover the neighboring Swedish city of Malmo during this self-guided tour. Cross the 5-mile Oresund Bridge from Copenhagen to Malmo and meet at Carlgatan 4, near the central train station. Choose from three options—a 24-hour bus ticket, a bike rental, or a mini train tour, only available during the summer and set your own pace to discover the city’s landmarks. Head back to Copenhagen via the train when you’re ready.